"It's about the balance", is how Charles Matte, Rider for Team EKOÏ.com / Gaspesien, summed up his race experience over the weekend in Arizona. 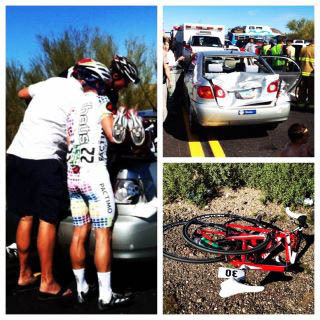 Charles, who is at training camp in the south, took part in the "Valley of the Sun" race. During the second lap, a car unfortunately ventured into the race track, right in front of the pack. For any fan of racing, this is the worst place to see a motorist who does not know what is happening. The peloton, that had just accelerated, was in single file and surrounded the car at a speed of 50 km / h! Hearing the cries of the crowd and seeing the bikes behind, the driver then completely stopped the vehicle! 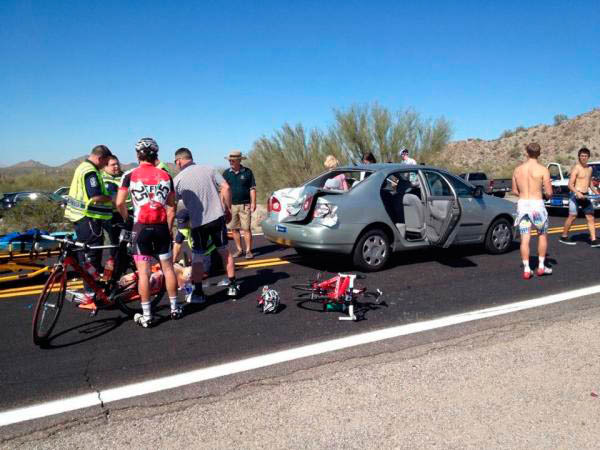 Several cyclists were unable to avoid the vehicle, and Charles Matte finished his race in the rear windshield of the car! Upon his release from the hospital yesterday Charles explained that he had been very lucky, with only a dislocated finger and some stitches. 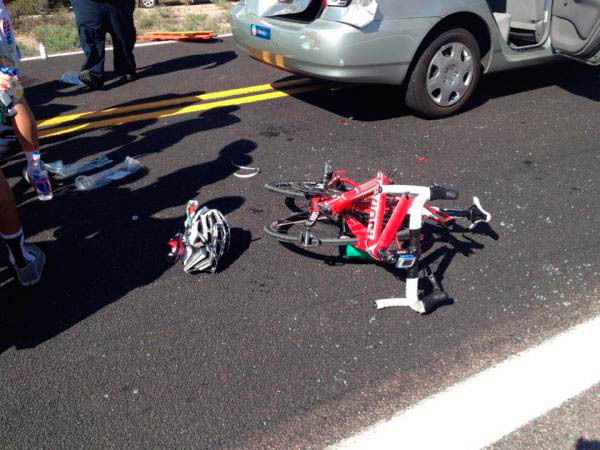 His Devinci bike has been less fortunate: "It looked like a carbon pretzel!" Charles will be at the Montreal Bicycle Show at the official launch of the team EKOÏ.com / Gaspesien this weekend. You can meet him there to discuss his experience!